Last Sunday, me and my family wanted to have lunch outside so we decided to go to Mid Valley but upon arriving, cars were queueing to get into parking lot and dad wasn’t having it so we went to KLCC. The same thing happened, we literally drove for an hour or so to find parking but there was none. So annoying. Please do not go to KLCC on Sunday. 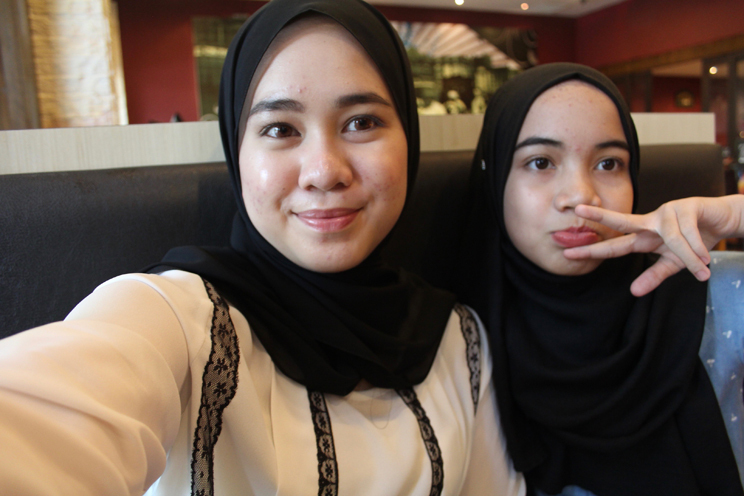 We went to Alamanda instead. Kalau tahu, baik tak payah drive jauh-jauh pffft and as expected Alamanda still had a lot of parking. I think Alamanda is the only mall that is never full house in any time of the year. 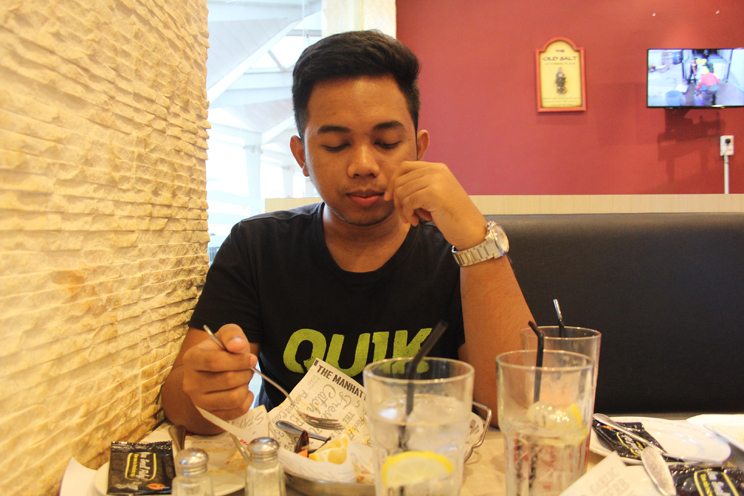 When other malls fail you, go to Alamanda. Parkings await. 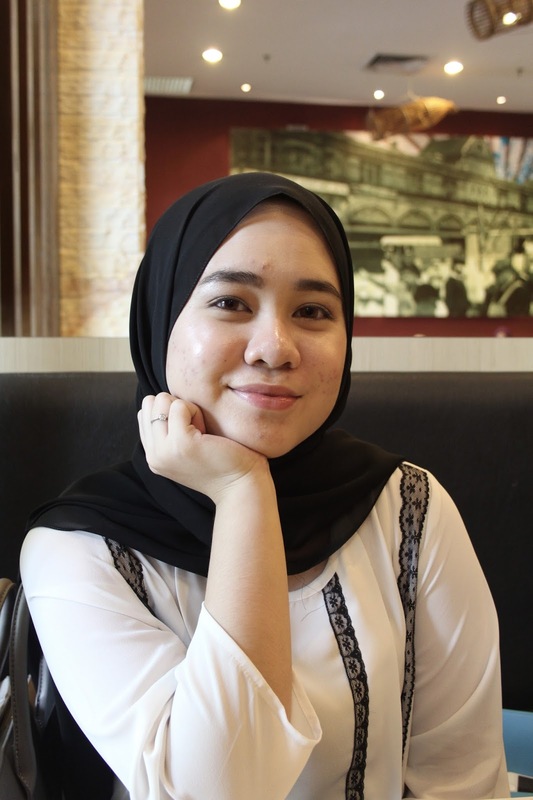 Trying to get rid of my chubby cheeks but nope. Nope. Nope. 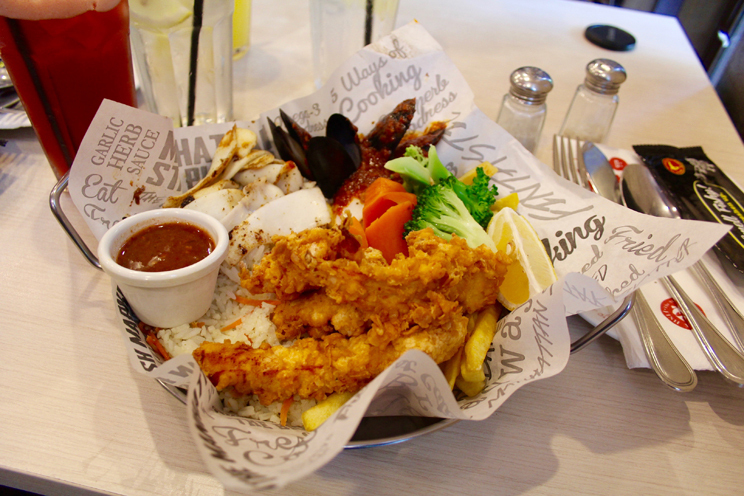 We settled for Manhattan Fish Market for our really, really late lunch. I can’t remember what is it called but it was really good! I had chicken, calamari, squid, fries, and vegetables with herb rice. Anyway, have you ever tried their sizzling brownies with ice cream? It is delicious! My lil bro, for some of you who haven’t seen him. We went home after that. Mom wanted me to make brownies to bring to her friends when she met them the next day. So I changed, made brownies, and got ready because I had a date with my girlfriends! I haven’t seen them in ages, to be honest. We have just been so busy after high school and to find time to meet is such a pain. At school, I have 5 best friends. They’re Anis, Amy, Shera, and twins Iman and Hudda. 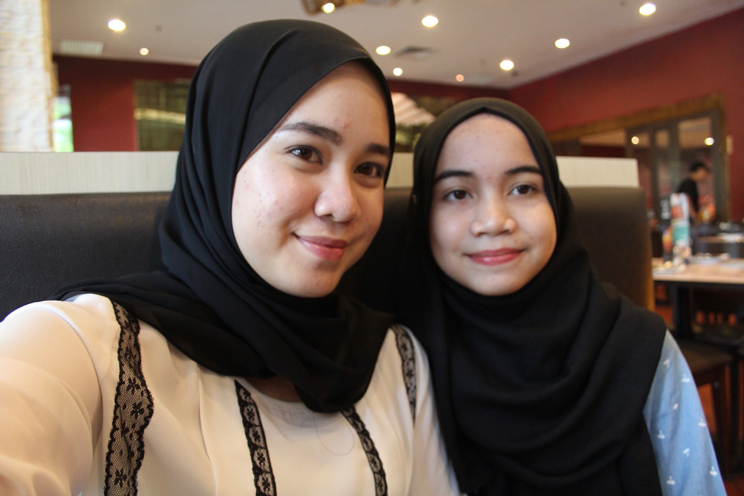 We were in the same class since form 1 and in form 4, Shera and the twins went to boarding school. For me to write about my friends and my journey with them since we were 13 would need me a total 10 hours and a heck lot of digging through old pictures on Facebook. To say I love them is an understatement of the year. They are my soulmates. We can lost contact for months but to me they will always be in my heart regardless of how many new best friends I made after them. Too bad, that night the twins couldn’t join us because they had other engagement. 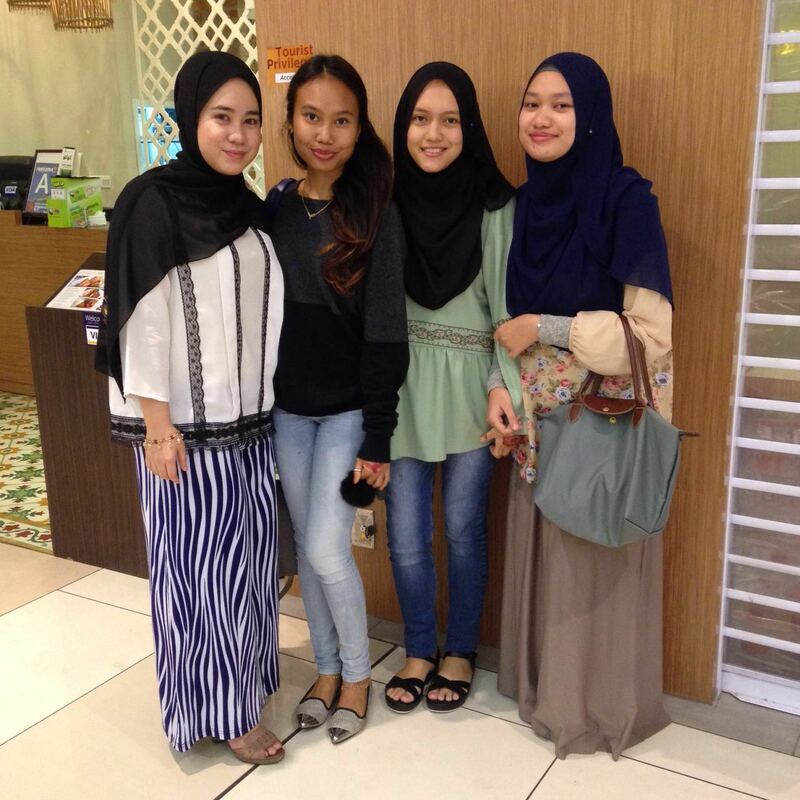 So it was just the four of us meeting at IOI City Mall. We had dinner at Secret Recipe and we talked and talked and talked and catch up on each other’s lives. 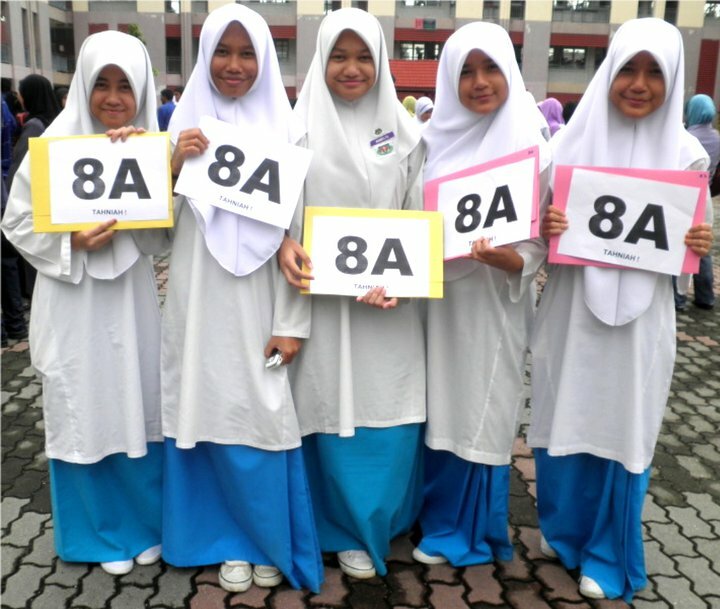 This was us in 2010 when all 6 of us scored straight As for PMR. Anis went on a holiday on the day of the result announcement so it was only the 5 of us in the picture. And this is us six years later! My pretty babes. We got more mature over the years but we haven’t aged at all, y’guys. 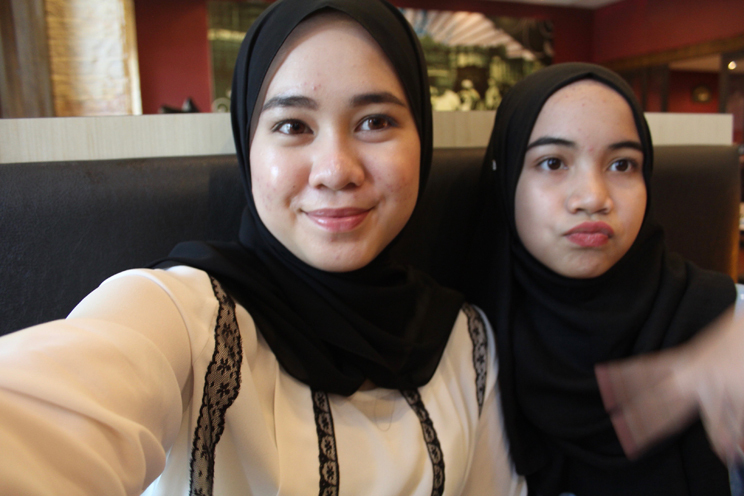 The next day, we met Iman at McDonald’s near my house. Hudda couldn’t join us because she has assignments to do. Anis also couldn’t join us because she had other engagements. So it was only me, Shera, Amy, and Iman. During high school, all 6 of us loved hanging out at McDonald’s. Sometimes we went there after school or during weekends. Reminiscing all this made me realized just how much I miss my friends and how easy life was back then. I wish I could turn back time and relive it again.